Organizations are competing in an environment shaped by economic conditions with ongoing challenges in globalization, increasing customer demands, and escalating operational costs. Considering the growing demand for improved performance, monitoring and quality services for Microsoft enterprise applications, YASH can help you through our innovative & consistent service delivery leading to significant cost benefits. 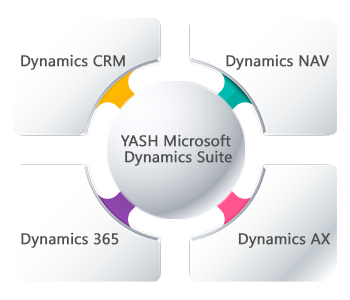 With our well regarded Microsoft Dynamics Centre of Excellence, YASH can be the “Partner of choice” for your entire Microsoft Dynamics Enterprise Solutions – encircling Implementation, Upgrade, Migration, Customization and Enhancement, Development and Integration, and Data Migration. We would be happy to get our MS Dynamics experts to engage with you.